Lipstick is a very important part of makeup. If attention is not paid on the right application of the lipstick then the whole look of the makeup can be spoiled. If you choose the right lipstick and if it is applied in the right way then many flaws of the makeup can be overshadowed. 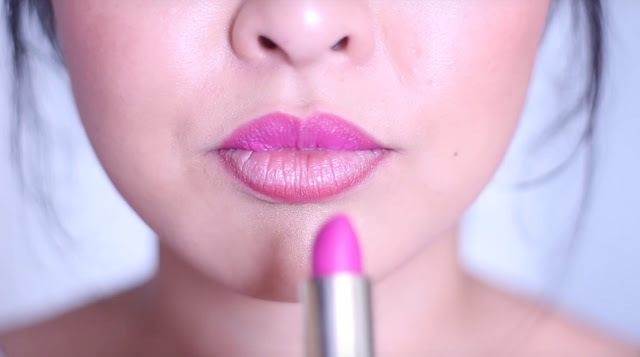 Lipstick not only adds color to the lips but it also gives the face a perfect look. Make sure that you apply the lipstick in the right and proper manner for that perfect finishing look of the makeup. Make sure that you have lipstick, a lip brush, lip liner, and a mirror handy before you apply lipstick. It is very essential to choose the right and proper shade of lipstick. The shade of the lipstick should not only suit you but it should also compliment your skin tone. The best option is to buy a darker shade of your natural lip color. To give your lips a softer look and feel, it is a good idea to apply a little lip balm before the application of lipstick. You can also use a lip liner to give the perfect shape to the lips but it is optional. You can use it before the application of lipstick or even after the application of lipstick. The choice is completely yours. But make sure that the color of the lip liner matches with that of the lipstick. You can make the use of the lip brush to apply the lipstick or you can also opt for applying it directly from the tube. Apply the lipstick very carefully and make sure it is applied evenly. The next step is to blot the lip with a tissue to remove the excess lipstick. For long lasting results dab a little powder on it and apply a second coat if you are interested in it. For the glossy look, you can use a lip-gloss on the lip stick.